The Annual Hunt – in detail! The day started really well, apart from the tiredness and inability to sleep very well, of course, but that is entirely natural. I don’t know of any fellow breast cancer (or any cancer) folks who are not terrified when it comes to these checks. I know I have been approaching mine with gritted teeth, with dread and fear but without any question that I was extremely grateful for the thorough checking. I duly fasted all night in readiness for the blood letting, and was awake long before the alarm awoke. This resulted in being at the hospital at 7.45 am, well before the first tests were due to start. 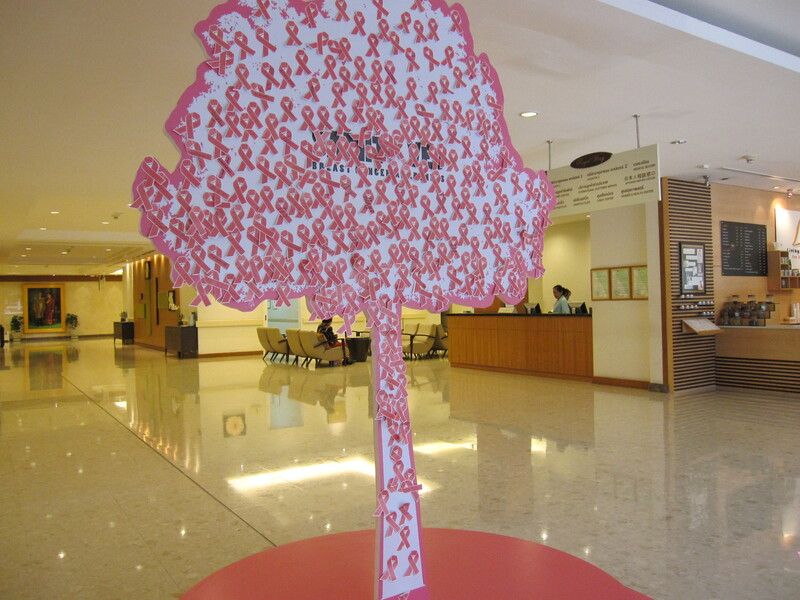 This gave me time to pose in front of the big Pink Ribbon Tree in the hospital foyer, which seemed like an appropriate way to start the day’s proceedings. 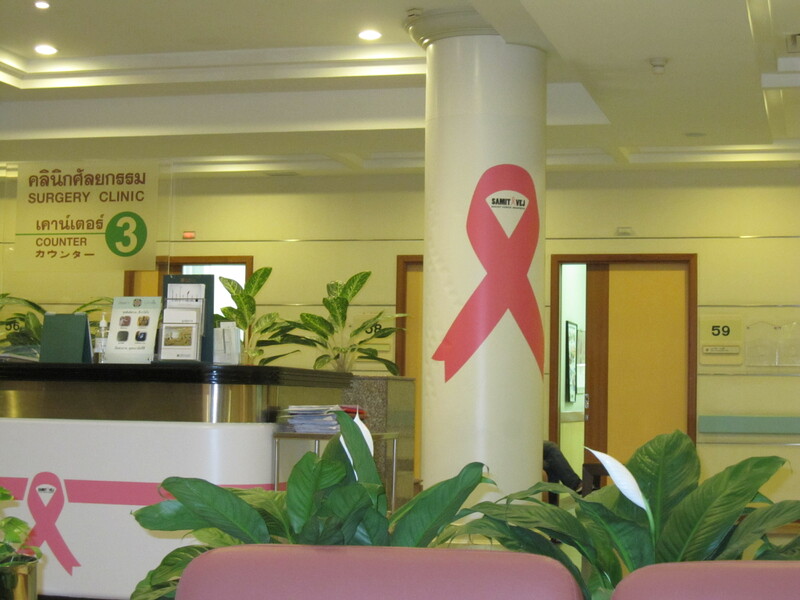 There was a lot more evidence of Breast Cancer Awareness Month than back in Yangon, and the hospital was well pinkified, yet with a focus on awareness and information. 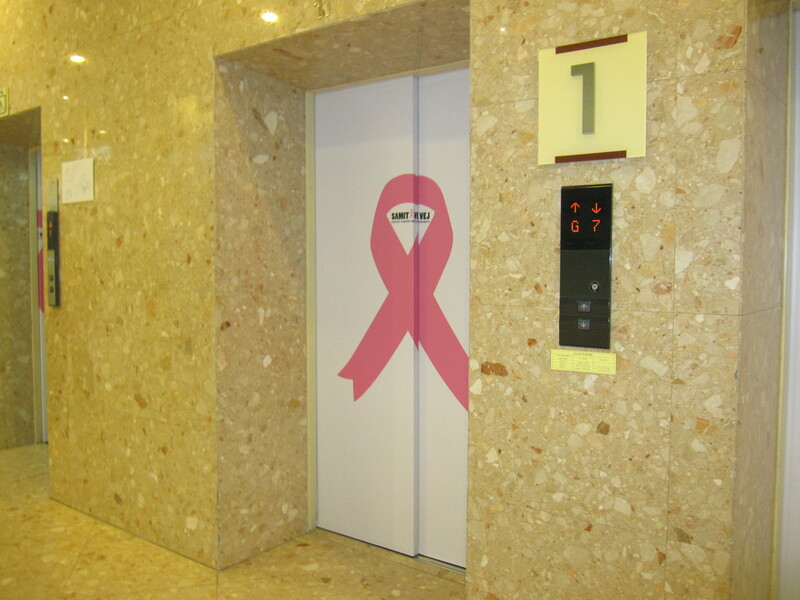 All the staff wore little pink ribbon badges and there pink ribbon signs on doors, walls, counters and a good deal of information and details about breast cancer and screening. I knew that my tests would take place in the imaging department, but was not sure where to go so I found myself magically at Counter No 2. I knew the staff there would make sure I would head in the right direction and do the right thing. Besides, it is next to the Lab and the blood letting counter so I thought that I would be packed off in that direction. After a couple of minutes I was called and ushered into one of the side rooms, where I usually have blood pressure, weight and temperature taken. No sign of the usual equipment which took me back a little, but I really don’t question things, I just do as I am bid. And I was bid to lie down on the examination couch. This was a bit unexpected and the nurse was not able to tell me why, so I just lay there under the sheet and waited patiently to see what would happen next. I realised I had started chittering again – I was not cold but just very nervous and my teeth were rattling away. This was so reminiscent of my scans leading to Diagnosis that I think it made me chitter even more. Soon enough, the door opened and to my surprise, one of the oncology nurses came in with her picnic basket full of syringes, vials, tape and other goodies. She greeted me warmly and commented on my regrowing hair! She asked which arm she should inset the needle, and thinking this was for the blood sample, I gave my right arm (as always, considering Twang Arm is now exempt from these treats). The needle was a bit painful going in, and she told me it had been a bit blunt – ouch! A great deal of blood was taken (three large vials, one for each Doctor) and I looked down to see if the needle was out yet, and if she was putting the tape over the puncture area. To my surprise the needle and syringe had been replaced with a small tube, and when I looked carefully, I could see an IV line had been placed into my arm. I have approached the tests with a vague knowledge of what the procedures would be, but had believed that it would mainly consist of scan, ultrasound and mammogram. With the sight of the IV line I asked the oncology nurse if this was for the tests and she confirmed that this was for the CT scan. Heart stopping moment. There would be a scary unknown and possibly painful or uncomfortable procedure with injecting dyes and goodness knows what. And the IV line was pretty sore. (Confirmation of me being truly a wimp). I was then taken to the Imaging Department and had almost sat down, when a nurse came to take me to get changed into a fetching purple Imaging Gown. As soon as I was changed I was taken straight to the mammogram room and transported instantly to the same place a year ago. This time the procedure seemed to be a fair bit quicker, probably mainly because there is only half as much to mammo. Twang Arm was mildly uncooperative when they were trying to get an image of the lymphatic area under my arm and refused to extend very much. Twang Arm doesn like extension and resisted attempts, but eventually the right positioning was achieved and I was able to put my gown and glasses back on. My chittering continued and I was told that CT scan would be next. CT scan signified scary injecting of something into my veins and I knew it had weird reactions. I was settled on the CT bench and my arms placed above my head and then the procedure and bill explained to me. I was asked when I had last eaten, and if I was allergic to anything. Then the side effects of the fluid were explained to me, and I was given instructions on holding my breath when the machine told me to. I was also asked if there was any chance I was pregnant. I joked about the impossibility of that scenario and was asked to sign a “not pregnant” form, which I duly did. Once those preparations had been carried out, I was slithered into the doughnut like machine a few times, holding my breath as directed and trying not to think too much about the injecting, which I knew was imminent. Soon the staff came back and I was allowed to relax my arms. 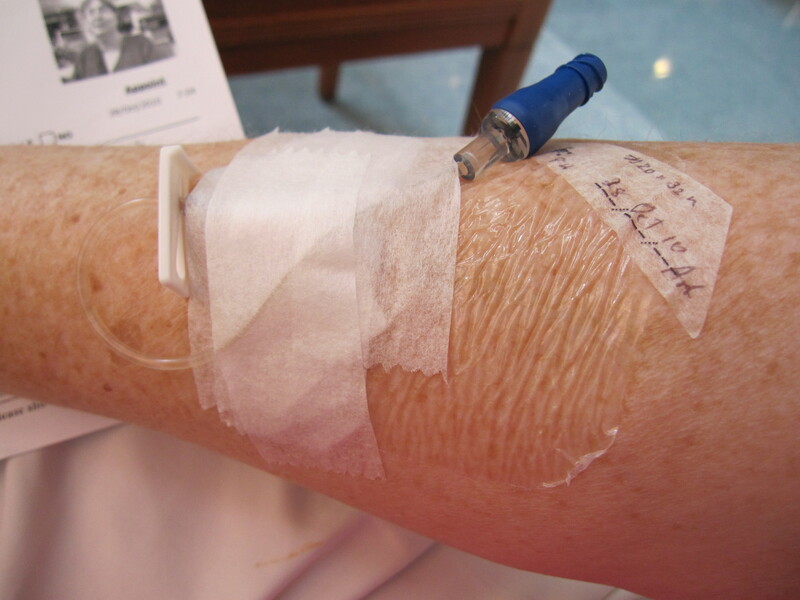 Next they approached the IV line, and explained they would put saline through first. Then they again explained the side effects of the fluid and given a half litre of water to drink, so that my stomach was full. Then the scary thing could be put off no longer. They told me they would start to inject the fluid and I prepared to feel very hot all around my body (verbatim) which indeed I did! And a bit odd. It soon passed though and with some more breathing in and holding, more washing machine noise and movement from the CT machine, and then I was slithered out again. I was unclipped and released from all of the wires and things and able to sit up. The staff told me I could head to the next test, and gestured towards my shoes as an invitation to leave the CT room. That prompted a giggle and comments that my shoes are tiny and look like children’s shoes! True! I was then take to the Lady’s Corner – a waiting area for women only and the nurses wrapped me up in an enormous towel as I was shivering again. I think it is also a reaction from the fluid and they warned me to watch out for a rash, dizziness or any other sign of allergic reaction. Then they brought me a series of cups of hot water to drink to make me feel warmer, and to help to start flushing the dye out of my system. Before long I was called to go into the Ultrasound Room. This was another foreboding experience, as it reminded me so much of Diagnosis Day a year ago. I lay there waiting for the Doctor, staring at the vacant ultrasound image on the screen on the wall, knowing that I would again be drawn to what it was showing. One the Doctor arrived, she methodically worked her way around the right side, my eyes fixed on the screen but of course I had no idea what the swirling images were telling. Before long she homed in on a little shape and in the same way as the space was pegged last year, she pegged the dimensions of this small shape. It was clearly not a spaceship, but it was something, my mind fixing on the report of a small cyst present last year in the right side. Very soon after that she stood up and her assistant started wiping off the gel. Then she explained to me that she could see a small cyst, which did not worry her but that she wanted to get more images of it by mammogram just so it could be looked at more carefully. She mentioned that it looked as if might have been bleeding a little so she wanted to check that out. So off I went back to the mammo room and was put through more contortions as they tried to squish me at a different angle. This involved my feet lifting off the floor as it felt as if I was being simultaneously pulled into the machine. My port had a squishing too and before too long they had got the right pictures and I was allowed to go and put my clothes back on. It was already approaching 10.30 by this time, and my appointment with Dr A was imminent so I headed up to his consulting area, with the IV line still in place and still pinching. I had my weigh in, height check (no change there) and blood pressure checked and to no one’s surprise the BP was high. Dr A called me in, and we went through the blood results. Generally he was pleased, again. Kidney, liver functions all good, slightly anaemic (thanks chemo), still pre-diabetic despite my careful eating, excellent cholesterol (that must be proof of the careful eating!) and all other functions normal. It is wonderful how the body repairs and regenerates after such gruelling treatment. He checked my BP again, and it had nicely reduced which was good. I sneaked a quick look at the tumour marker and we saw that it was very slight down from the last result. Still a tad above normal but not higher and I was greatly relieved. I returned to Counter 2 to see if my IV line could be removed as it was pretty uncomfortable and the longer it was kept there, the more I would worry about more IV stuff happening. It was a fun challenge for the Nurse to remove the tape as it took all the fine post chemo re-growth with it. Every time I though the needle was out, I realised it was just a bit more of the tape! Finally, and with an apology for making my arm bald, the Nurse was able to remove the IV line and I was much more comfortable. So then we were released into the outside world, to return in the evening to see Doctors W and W2 and see what the scans and bloods would reveal. I actually felt fairly relaxed after all this. I knew the tumour marker had not gone up again, and that although I seemed to have a cyst, it did not seem to ring alarm bells. All very very different to the 2 October experience last year. However, by the time I returned to the hospital for Drs W and W2 I was beginning to get pretty nervous, and was thinking of the possibilities of biopsy on the cyst, as well as unknown and unexpected surprises from the CT scan. I settled down at Counter 2, and before long heard the familiar booming voice, which was followed by Dr W2 appearing at his door. I was called straight in, and even before I had sat down Dr W2 announced that he had been looking at my CT scan. That made my stomach turn over, as he is very direct and I know that the important messages come first! He then said that everything seemed pretty normal! Before any further discussion he said that he thought I had gained weight! We then entered a banter which involved me saying this was not possible since I was exercising so much, and him being adamant that I was heavier and looking through my notes. 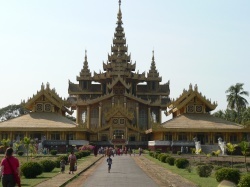 With great delight, he announced that I was in fact I kg heavier than my last visit! Grrrr. Having won that point, he then examined me and checked on the port and abdomen area before letting me dress and return to the seat where he had already started a discussion with Hubby J about a number of topics not related to Breast Cancer! Then he went over the scan results, and noted that it was pretty much normal, although it showed a couple of lumpy areas on my liver which suggested follow up scans. His take on that was that he did not see it as particularly worrying and joked that the hospital was making money out of me!! He also said there was a small area of inflammation on the lung which might be related to radiation but again was not particularly worrying. I mentioned the marker and he was not in the slightest interested and his conversation returned to curiosity about upcoming events rather than medical stuff! He also asked where the previous FBG was, remembering how tired, weak and frail I had been, and I interpreted that as a great reflection on how much I have gained in strength and recovery. He said that I should come back in 3 – 4 months for the next general check and not to forget to clean my port every 6 weeks. Then we were back at Counter 2 saying goodbye! Before long we were ushered in, and Dr W asked how I was doing. He was pretty surprised that I was already having my Big Check, saying it did not feel like a year since my diagnosis. He examined me thoroughly and noted some “progress” with Twang Arm. Take that Twang Arm! I know that I do not have full motion but slowly I am heading in the right direction. He went through the mammo results carefully, putting the images of the cyst on the screen and talking through the report. He said that it was not worrying, that it had the signs of some bleeding. I told him about my fall in Dubai airport and he did think that it could be related. He spoke the words that I needed to hear, that he saw no signs of cancer, and no need for any concern. He said that rather than wait for a year to re-run the scans, that ultrasound should be done in 6 months and that another CT scan should also be done to look at the liver and its little lumpy shapes and check if they were changing at all. Although ultrasound had been recommended for follow up on the liver, he felt that it would not show enough and that CT scan would be needed to really give a contrast and comparison. He said he would see me in 3 months for the regular check, and we would do the scans 3 months after that. And then we were free to go. I felt much greater relief than I did after the last check. I know that the tumour marker freaked me out last time and it helped that it had not raised further this time. Moreover, though, I was hugely reassured by the extensive nature of the tests. It was a real hunt for any sign whatsoever of anything suspicious, by various different tactics. I am further reassured by the re-run of the scans in 6 months time – a year is a long time when you are anxious about invisible happenings going on in your body, so I am happy that I will have an extra check. However, that did not mean that I felt like leaping about and squealing with excitement. Instead, I felt drained, emotional and weepy. But NOT worried, and that feels incredibly good, and very glad to be this side of the Big Check and a very thorough Annual Hunt. I am relieved, but exhausted, and there are some little whatsits to follow up and keep an eye on. And oddly, I feel more like weeping than I have throughout this whole year. We arrived safely in Bangkok this afternoon, and to the delights of being back online after a few days being somewhat offline! It’s the Big Day tomorrow. I have to fast from midnight (I wonder if I have to wake up to fast, or if I can do it while I am sleeping!) It somehow feels like cheating to fast while sleeping! The day will start with blood letting, as usual. I will then be guided through the various scans and imaging tests which have been ordered for me. In the late afternoon/evening I will meet Drs W, W2 and A for review of the various tests and see if there are any signs of ED. Which we don’t want (ED = Evidence of Disease). What we want is NED – No Evidence of Disease. Please. Smiling faces with the good news would be nice, but a bonus. I have also realised that tomorrow is a Big Day for another reason too. It is another of those anniversaries but a rather special one. Tomorrow will mark a year from when I started this blog – so I guess I should call it my “Blogaversary”! So look out for a Blogversary post tomorrow, with the updates and detail about the Big Check. Tomorrow is another Landmark Day. Let’s call it the “Chemoversary” as it will be a year since I was introduced to chemo. Once we met, we were to become regular acquaintances over nearly 6 months, and I still have some delightful reminders. The Annie Lennox look for example, as well as the numbness in my fingers in toes, the lines across my nails and how could I almost forget the port under my skin. In fact, my “porting” anniversary was yesterday. Have I really lived with this device under my skin for over a year now? You would think it was less uncomfortable by now! However, rather than dwell too much on the Cancery side of things, I am happy to say that I have a plan for the weekend. A non-Cancer plan. (The weather also has plans though it seems not for our part of the country, and hopefully not as intense as predicted). 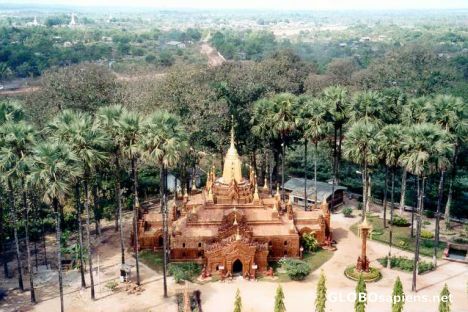 Weather permitting, and as long as there are no other unexpecteds, we hope to head out of town to Bago this full moon weekend which happily coincides with the Thadingyut Lighting Festival. With any luck I might even FORGET that it is the Chemoversary! One independent minded, foam prosthesis used for swimming purposes. Last seen in the changing room after swim, and placed in bag with other possessions. Missing on return home. Contacted changing room and not in Locker No 6 or elsewhere in changing room. Searched taxi and (thank goodness) not there. No sign of missing prosthesis at gate or door. If found, please don’t return it, I will be far too embarrassed and deny that it is mine. Located in the garden, having fallen from bag in transit from taxi to door. Spent night in garden plotting wider escape, but captured and returned before able to get very far. Owner is relieved and mortified. Afraid to go. Afraid to not go. I am in the midst of the Landmark days, and have just marked my first Cancerversary. It is Breast Cancer Awareness Month. Twang Arm and I are in a constant battle, each edging to an advantage and then conceding slightly with a formation of strange advance retreat dance like steps. And just to make sure I don’t forget about Breast Cancer, the Big Check is imminent. It was scheduled for the second week of November, but a series of complications has built up around that time, and it seemed wise to bring the check forward. It is now due to take place on 28 October which is less than 2 weeks away and to say I am scared is a massive understatement. I am terrified. Of course we all hope and kind of expect that all will be fine. I feel well, I am on good form and there is no sign or reason to think cancer might be back. The reality, however, is that it is invisible and often gives no indications in its early manifestation. That is why I have a variety of tests to check comprehensively and see if there is any sign at all of even the tiniest cancer presence. We all know the ideal scenario. Thorough tests and Drs W and W2 grinning as they tell me there is No Evidence of Disease (NED). There is no way of getting to that point, however, without extreme anxiety that we arrive at the scenario we don’t want. And the problem with that unwanted scenario is that we don’t need to stretch the imagination at all to imagine it, because we have already been there. My reaction when I read about the Breast Cancer Pear? How ironic, when I no longer have a pair!